course, hire equipment, reef walks, Ball’s Pyramid and Dolphin snorkelling trips. The only operation that dives Ball’s Pyramid. Locally owned and operated Dive School. 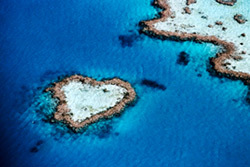 Let Lord Howe Island’s highest qualified and most experienced instructor introduce you to our amazing underwater world. We offer Boat dives, Discover Scuba diving, PADI Open Water course, hire equipment, reef walks, Ball’s Pyramid and Dolphin snorkelling trips. 6-7 trips, including a double dive at one of the world’s most pristine scuba diving sites. We are the only Tour Company who dives in this location. Best diving around Lord Howe Island. 2-3 hour boat dive for qualified divers.